Bastille Day. Fete de la Federation. USA 2017 .com Bastille Day. Fete de la Federation. The Storming of the Bastille in Paris occured on July 14, 1789. 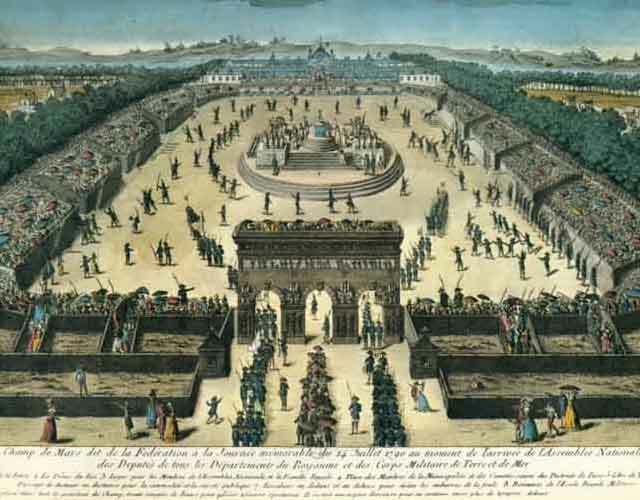 While the medieval fortress and prison known as the Bastille contained only seven prisoners, its fall effectively marked the beginning of the French Revolution. The July 14 anniversary of this event is commemorated in France each year by the Fete de la Federation, known in English as Bastille Day. 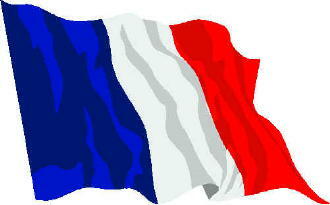 The Bastille Day holiday in France symbolizes the overthrow of the old monarchy and the beginning of the French republic. The monarchy was not just undemocratic. The king and aristocracy also owned the land and extracted not only the rent but imposed taxes and restrictions on the people. The French economists of the time recognized that the core of the economic problem was land. They formed the first school of economic thought, which they called "physiocracy," meaning the rule of natural law. Land, they said, has a "net product," meaning productivity apart from that of labor, which can serve as public revenue without hurting the economy, unlike taxes on labor and commerce which do stifle enterprise. The physiocrats proposed an "impot unique" or single tax on land rent, otherwise leaving the economy to natural law, letting it run itself. Their motto was "laissez faire, laissez passer" meaning let it be made and let it pass, without interventions. One of the physiocrats, Turgot, became the controller general of finance in 1774. He eliminated some taxes and attempted to reduce barriers to trade, but was then removed from office due to the opposition of the aristocracy to the impot unique. The French revolution followed fifteen years later. On the one-year anniversary of the fall of the Bastille, delegates from every region of France proclaimed their allegiance to a single national community during the Fete de la Federation in Paris - the first time in history that a people had claimed their right to self-determination.